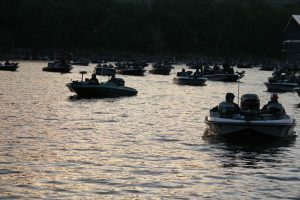 Cops for Kids Bass Tournament is an annual fishing event in Branson organized by The Catch • A • Dream Foundation and Children’s Smile Center to give benefits to kids in needs. This fishing tournament is a great outdoor fun in Branson where kids and adults alike will complete each other while raising money for two great charity organizations. This annual fishing event usually sees more than 150 entries each year. Money and prizes will be awarded to the top finishers. Participants will get the chance to win a new 2017 Nitro Z17 Bassboat, powered by Mercury Marine. Every contestant in this tournament has the same chance of winning. Participating teams for this Bass Tournament come from all over the region to support this annual event that directly benefits the two charity organizations. The Catch • A • Dream Foundation grants once-in-a-lifetime hunting and fishing experience to children across North America, ages 18 and younger who suffer from a life-threatening illness during a time when these children need to know that hope exists. The Children’s Smile Center focuses on dental care for children who qualify for Medicaid in Stone, Taney, Christian, Lawrence and Barry counties in Missouri. Catch A Dream is a national, charitable, nonprofit foundation that provides once-in-a-lifetime dream hunting and fishing trips to children who suffer from life-threatening illnesses. Through these adventures and exposure to outdoors-minded people who care for children in needs, the program of the charity organizations gives children a message of encouragement at a time when they need to know that hope does exist. Children’s Smile Center is a local nonprofit organization that provides preventive and primary dental care for free to the families of children ages 1 to 19 and pregnant women with active Medicaid who reside in Christian, Stone, Taney, Dade, Barry and Lawrence counties. In 2016, Children Smile Center have benefitted 6,285 children and pregnant women through more than 13,000 dental visits. As a great outdoor fun in Branson, Cops for Kids Bass Tournament provides financial assistance to nonprofit organizations dedicated to children in needs. The organizers of the tournament believe that community programs targeted at our youth can make a true impact on children’s growth, development and future success. The goal of the tournament is to help non-profits achieve their mission and start new community programs. The tournament has grown in sponsorship, entries, and prize money. What’s more important is that the donations to the Catch A Dream Foundation and Children’s Smile Center have grown every year. The past tournaments have helped raise over $112,000. In 2010 the tournament opened up to all public safety professionals such as firemen, EMS personnel, and law enforcement officers. In 2014, a change was made from requiring participants to be in Public Service to an Open Buddy tournament which allows anyone who qualifies to enter the event. If you are a fishing enthusiast and looking for a great outdoor fun in Branson, participate in a Bass Tournament which helps charity organizations give benefits to children in needs.